Iconic Photography of Canary Wharf Ice Rink at Canary Wharf on February 7, 2014 in London, England. It’s the most wonderful time of year, an occasion where families come together, with the streets looking distinctly wintery, and most of us dreaming of a white Christmas. Kids are excited for the impending arrival of Santa and his reindeers, pubs are packed full, and the mince pies are being scoffed at an alarming rate. 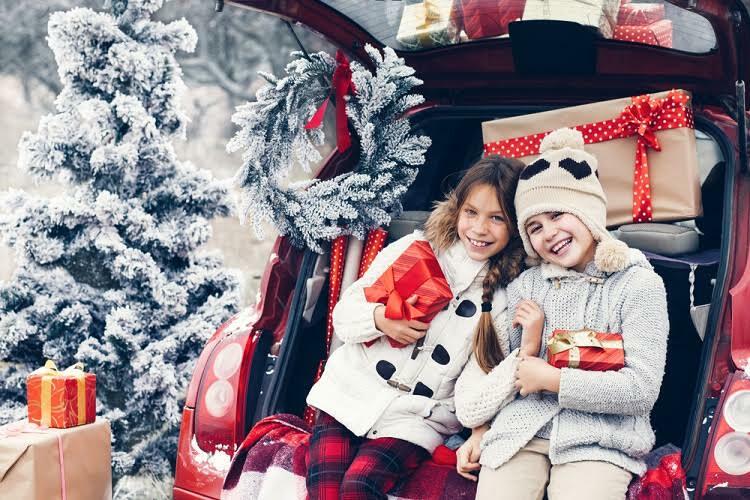 Being a family run business, we understand how exciting this time of year can be for families. We encourage everyone to make the most of the festive activities on offer, especially if you are one of the lucky few to enjoy plenty of time off over this season to be jolly. We have put together a list of some of the best family friendly adventures you can embark on this winter, be sure to take plenty of photos and share your #iCandyMoment on our social media pages. Held in the world famous Hyde Park each Christmas, this iconic London landmark is transformed into a wintery spectacle over the festive period, full of enchantment and magic. With something for everyone, whether it be a family day out, or a first date, the park sees a huge influx of people each Christmas.Wonderland. Located at Paultons Park, the home of Peppa Pig World, this winter event offers a truly unique magical family experience. Adorable animated characters greet you at every turn as you make your way through the enchanted winter scene. See the elves frantically finishing presents for Christmas Day, whilst children have the chance to meet Santa at the end of the visit. Meanwhile, over in Peppa Pig World, be sure to greet Peppa and George who can be found in their winter clothes. The home of Peppa Pig has been transformed, with the addition of twinkling illuminations, seasonal music, and giant Christmas trees. Located in Victoria Park London, Winterville is a seasonal town which personifies the Christmas spirit. Full of fantastic food, plenty of amenities, and a range of bespoke markets, Winterville comprises something of interest for the entire family. Winterville includes a circus, crazy golf, an ice rink and many more family fun activities to partake in, whilst kids will be sure to visit the fairground and the big wheel. A true British institution, one which has been around for over 200 years, the museum always provides a fascinating and insightful day out, with plenty of attractions to captivate all members of the family. 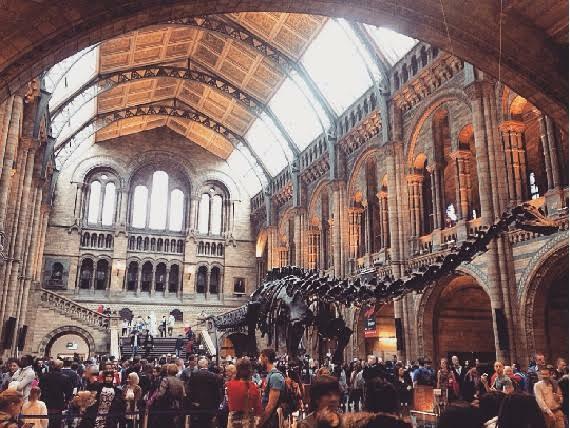 Marvel at the various dinosaurs and technological innovations on show, along with the amazing pub trivia you may be able to pick up along the way. The museum is a cheap alternative to many other days out and can easily encompass an entire Saturday. Be sure to check out the David Attenborough First Life Experience, where you can see the world’s first sea creatures and extinct animals roam the world through the power of VR goggles, as stylishly modeled by the PR Team. One of the largest ice rinks in London is situated within the business hub of Canary Wharf. The ice rink feature’s London’s only skate path, which guides skaters through a glittering trail of fairy-lit trees, which is complimented by the backdrop of the soaring towers of the Business Capital. With onsite restaurants and bars such as ‘The Tasting Room’ which offer only the very best of artisan tasting and sharing menus, the Canary Wharf ice rink is a luxurious Christmas experience. With events lasting until the late evening, it is also suitable for adults looking for a night out. When visiting London, why not treat the family at iCandy’s favourite luxury hotel collection; Grange Hotels. Their flagship property, Grange St. Paul’s Hotel, is the only hotel to exclusively provide family guests with full access to the lightweightiCandy Raspberry. Grange Hotels boasts 17 iconic locationsacross the heart of London, with their 5-Star flagship nestled beside the beautiful St Paul’s Cathedral and offering views of London’s incredible city skyline. Featuring an exquisite blend of British traditional elegance entwined with contemporary luxury fittings, Grange St. Paul’s Hotel is the perfect place to stay after a busy day of sightseeing. The property encompasses a relaxing spa, the world-famous Benihana restaurant, and a magnificent Sky Bar. Grange Hotels has kindly provided an exclusive weekend offer this winter when staying at Grange St. Paul’s Hotel. For more information and to book, please click here Additionally, all year round kids up to 2 years old stay for free, and during school holidays kids up to 12 years old stay and eat for free at any Grange Hotel. To find out more, please call 0207 233 788.